April 25, 2009 is the date when a good friend launches his latest project in the Philippines. And the name of the friend is Wilson Tortosa. Yep the same guy who drew battle of the Planets and Tomb Raider. 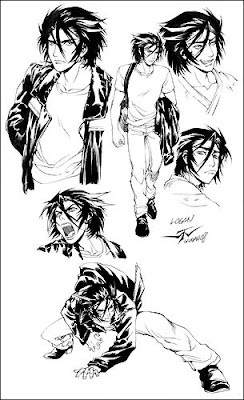 Now Wilson is the artist for the latest manga adaptation of Wolverine entitled prodigal Son. In this alternate universe of our favorite X-man, Logan is a rebellious youth taken in by a dojo in a seclude forest where he was found near dead with amnesia. I went to Wilson's book launching in Comic Odyssey Robinsons Galleria. To be sure that I will not miss a copy, one week before I ask Sandy (Comic Odyssey's proprietor) to reserve a copy for me. When I arrived at the venue Wilson is already there together with Jan Michael Aldeguer, his toner. I'm so happy to get my copy and get them signed by the two artist. After the launch I hanged out with friends and checked out some other comic items in the store. 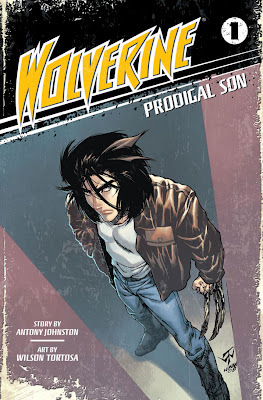 I have finished reading the book and Wolverine: Prodigal Son is one interesting book that every Wolverine and X-men fan must have. For a copy of the book, kindly inquire in Comic Odyssey or Planet X through this email: nixshop@gmail.com or visit their branches all over the metro.